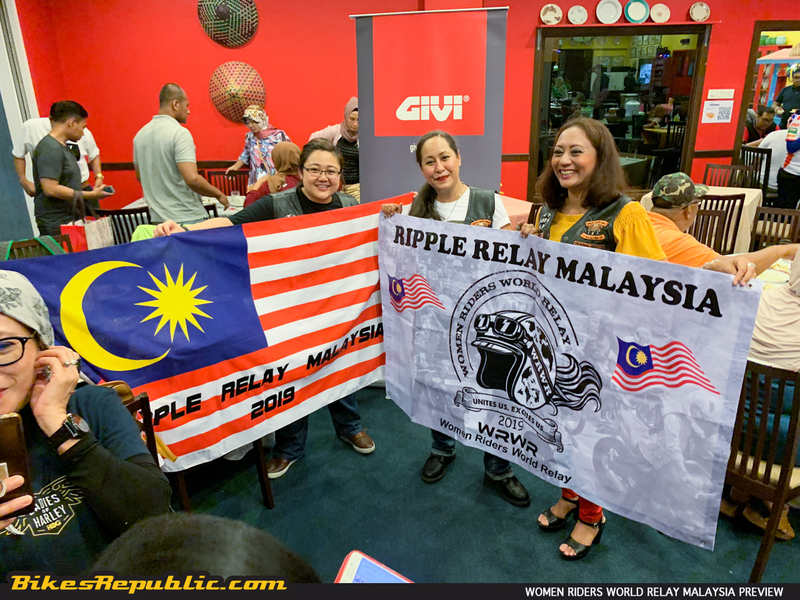 Malaysian women bikers are set to Women Riders World Relay (WRWR). 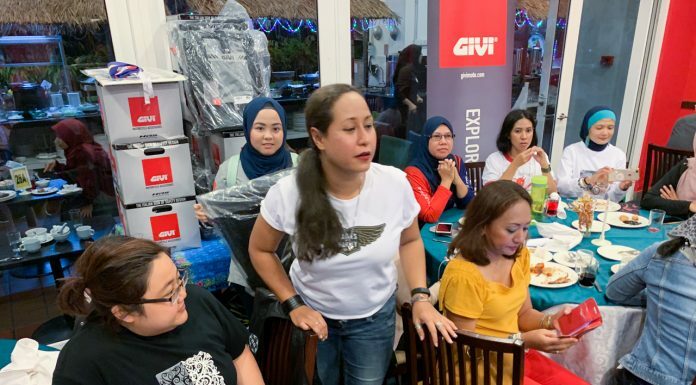 Ladies of Harley and Anita Yusof (part of GIVI Bella) are involved. GIVI Asia sponsored helmets and backpacks to some of the participants. 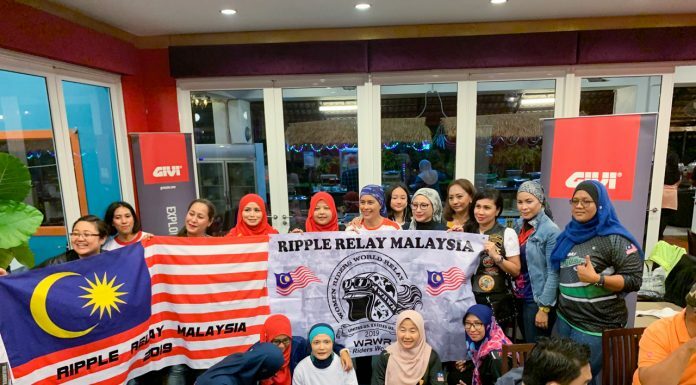 The ride begins on 27thApril 2019 led by Ladies of Harley from HDPJ. 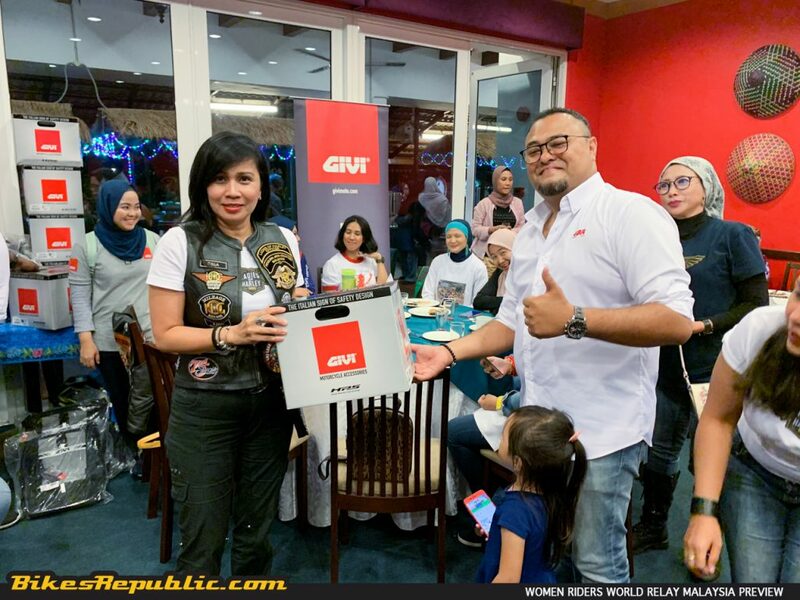 It used to be that women bikers are a novelty among the motorcycling community. 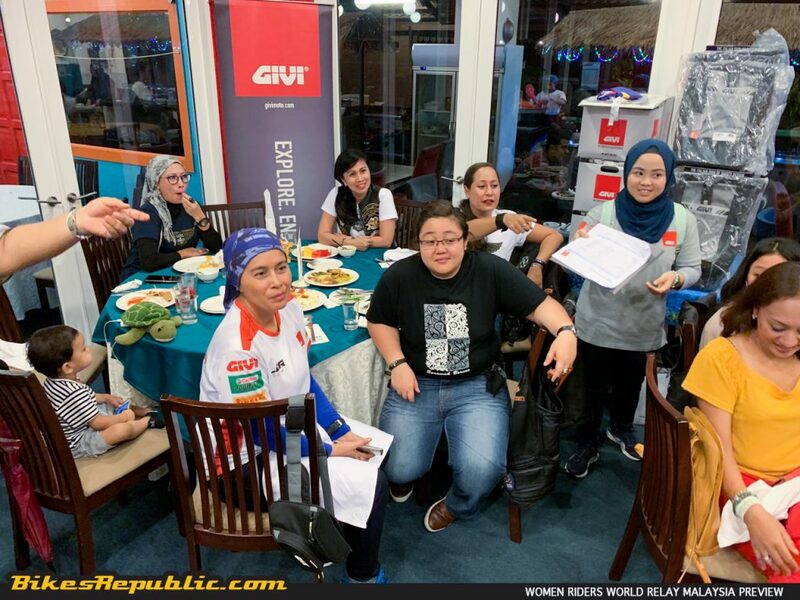 But the Women Riders World Relay (WRWR) is set to change that perception. 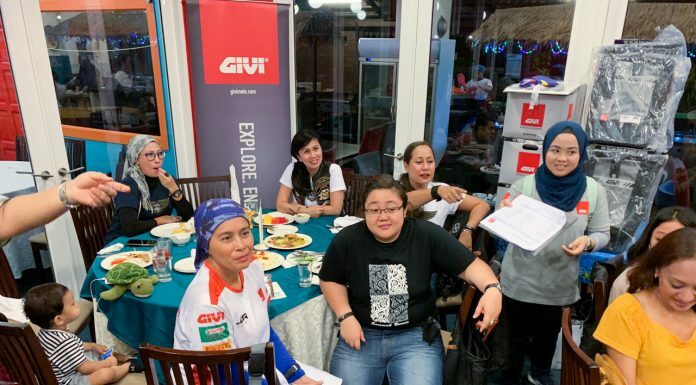 The “event” seeks to unite women riders the world over, as women riders from one country hand over a GPS “baton” to those in another. 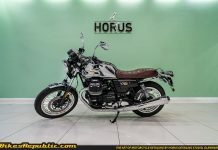 The relay also transcends the different cliques and types of motorcycles. 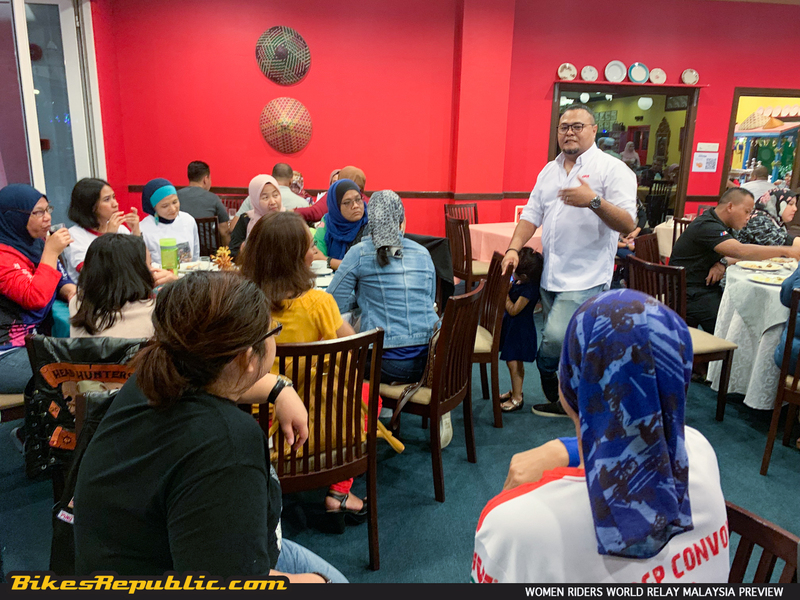 The main WRWR is a worldwide event and will reach Malaysia in August. 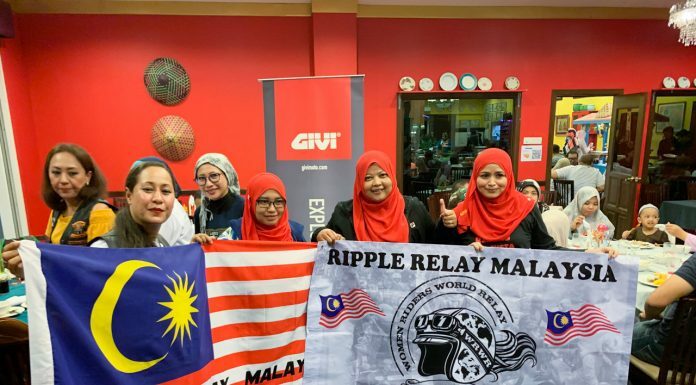 In the the Global Relay, a baton is passed from woman to woman while travelling by motorcycle through 80 countries on a round-the-world route. 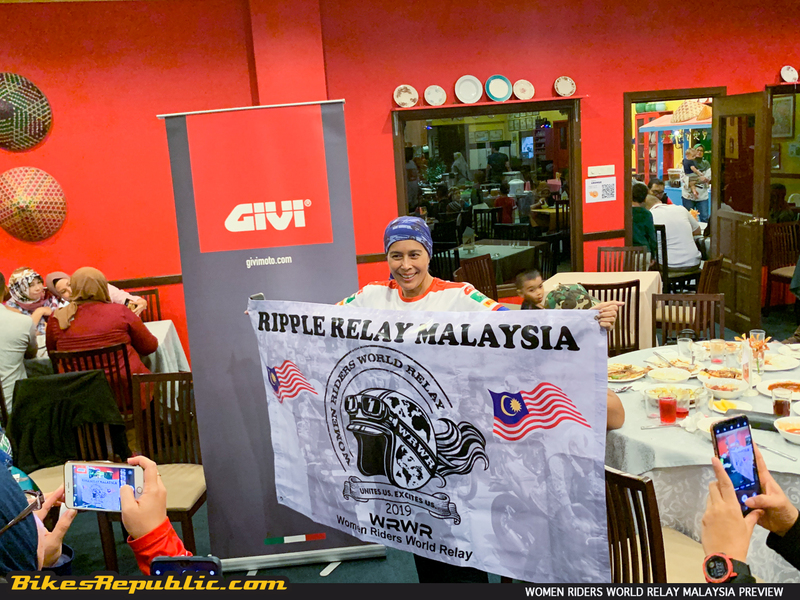 As such, the Global Relay consists of long day rides and the majority of them on highways to cover as much distance as possible. It is so to cover the entire globe within 1 year. 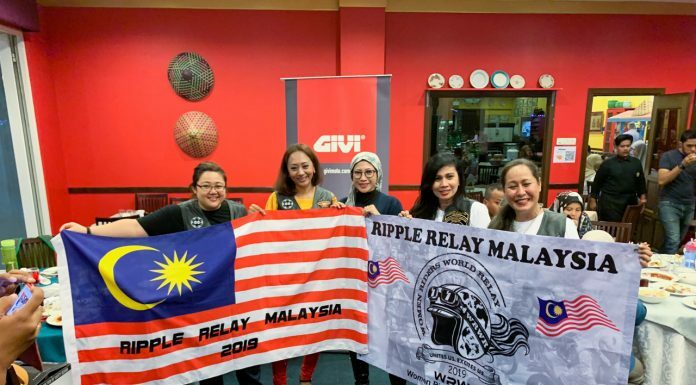 Therefore, the Global Relay requires registration, fees and signed waiver to participate. In the Global Relay, men can join as companions but are not allowed to carry the baton. 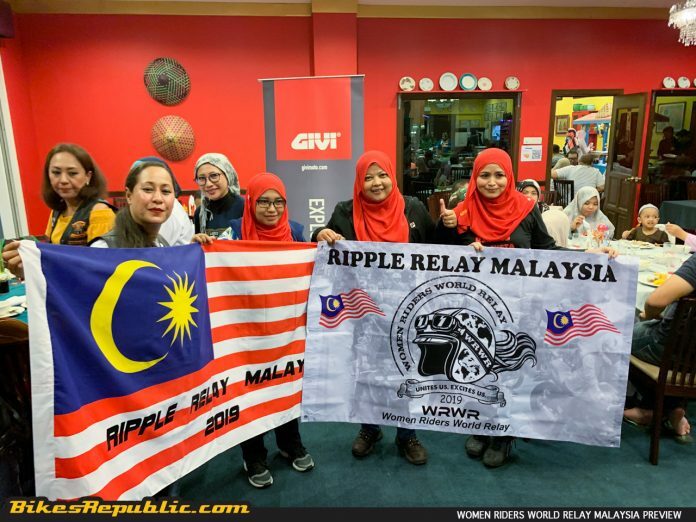 Conversely, it is up to the teams to invite male riders to the Ripple Relay. On the other hand, the Ripple Relay is more leisurely and planned around the individual or team’s schedule. The only objective is to pass the flag around within 1 year. 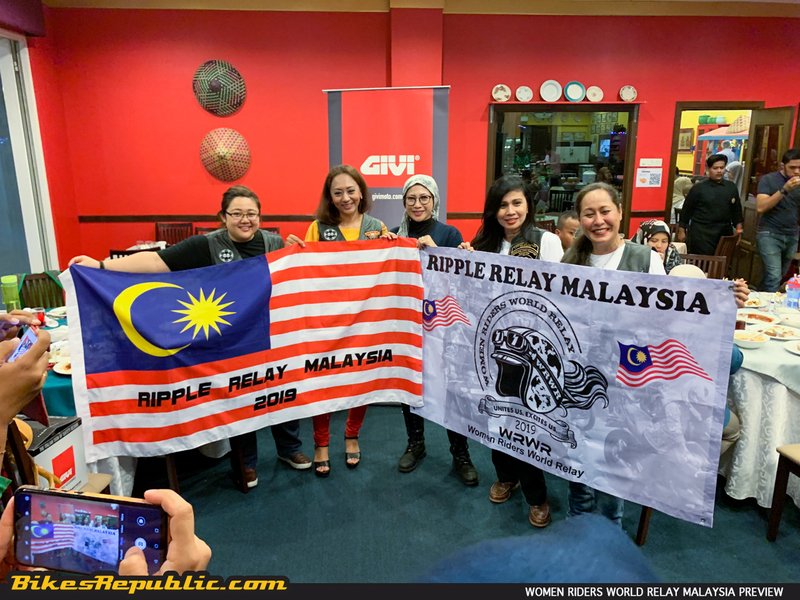 No registration and fees are required for the Ripple Relays. Teams are only expected to communicate with other teams to pass the flag. The handover will be photographed and shared on social media. 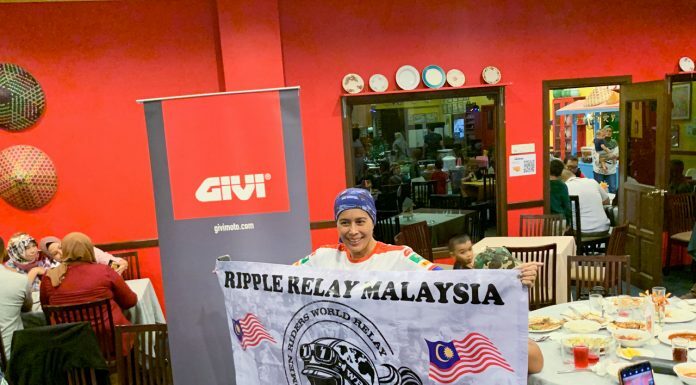 Thereby, in support of the main relay, “Ripple Relays” are held in each country where rides are conducted throughout the year. 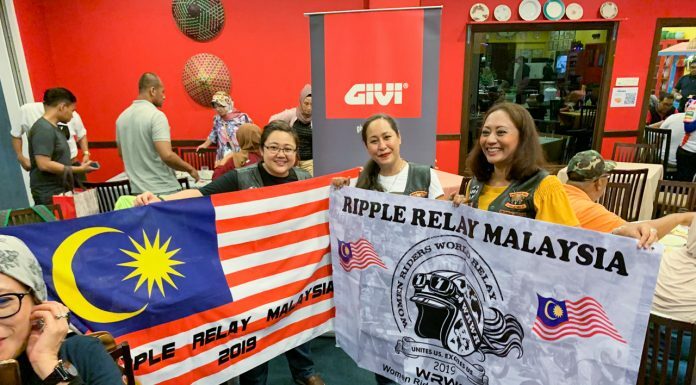 Consequently, instead of using the GPS baton, the Ripple Rally will hand over the Malaysian flag among various Team Leaders or Women Riding Clubs while travelling through the country. 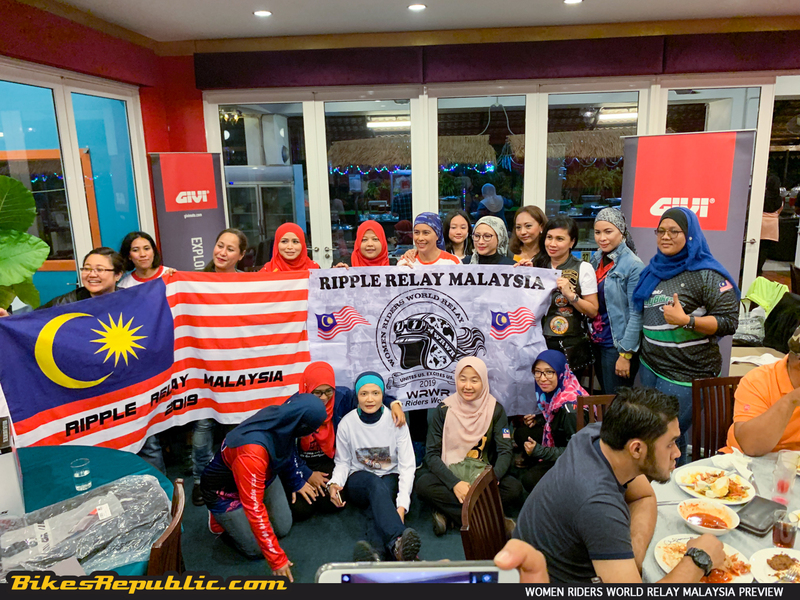 The Malaysian flag will ultimately travel to London in February 2020 for the WRWR closing ceremony. 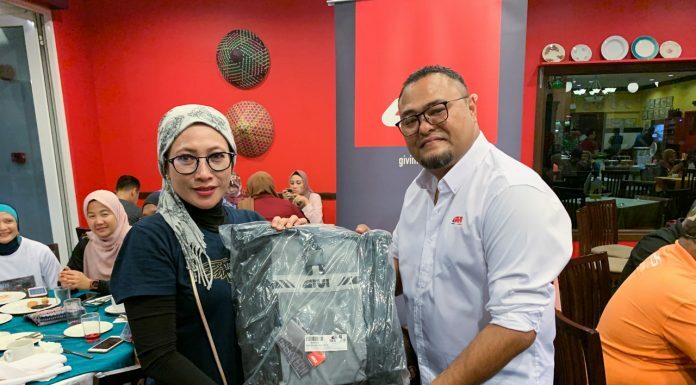 As such, Malaysian women bikers are set to join the event which begins on 27thApril 2019. 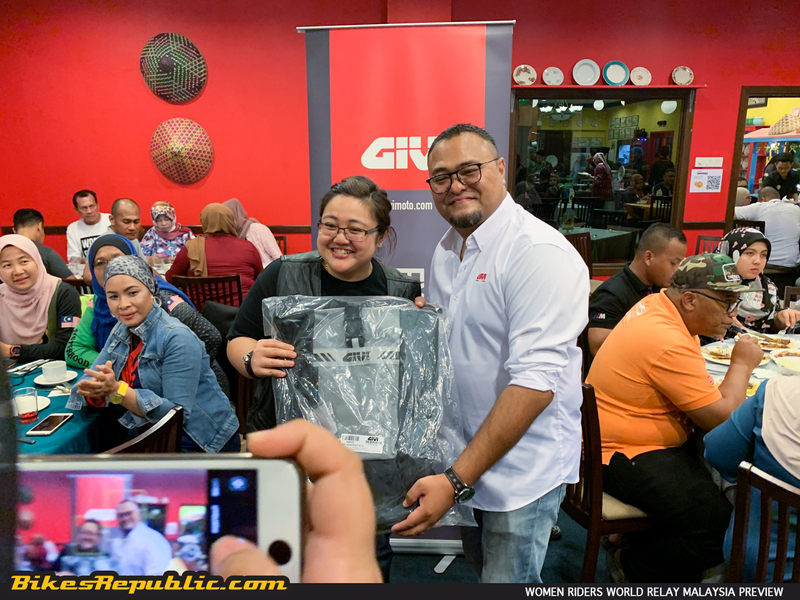 The inaugural ride will be led by the Ladies of Harley from Harley-Davidson of Petaling Jaya. 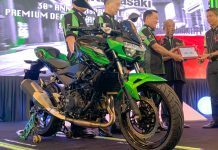 They will ride through Melaka, to highlight the attractions in the state. 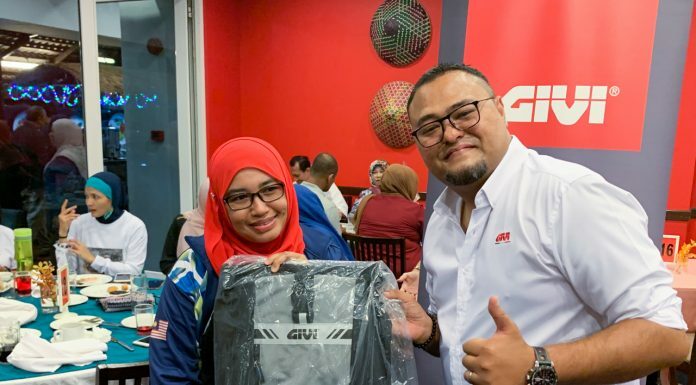 A preview to the Malaysian ride was hosted recently by GIVI Asia Sdn. Bhd. 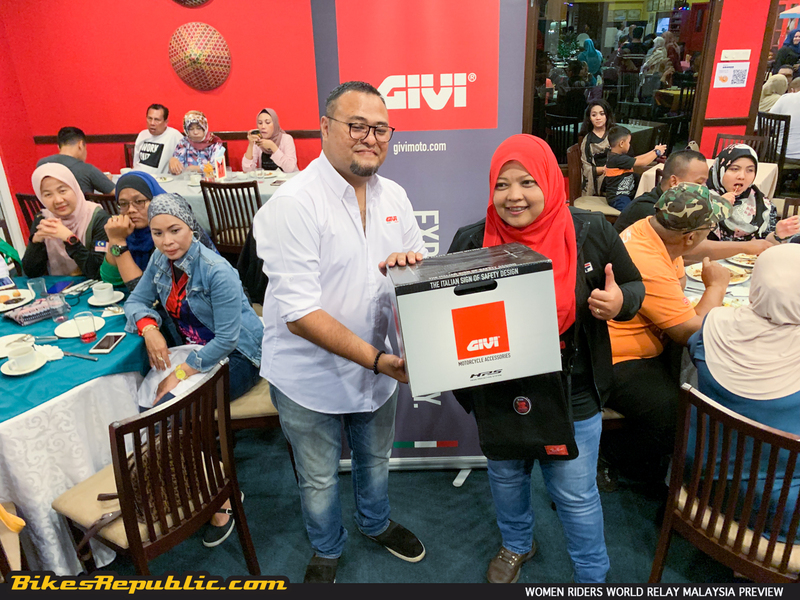 GIVI Asia has been active in supporting women bikers in the country, having hosted a ladies-only ride and camp not too long ago. 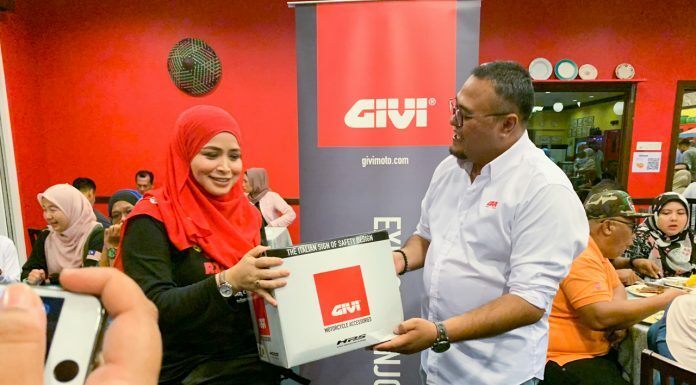 In fact, GIVI Asia’s brand ambassador is none other than Anita Yusof who rode her motorcycle around the world. Present at the preview were Anita, the Ladies of Harley and ladies of other motorcycle groups. 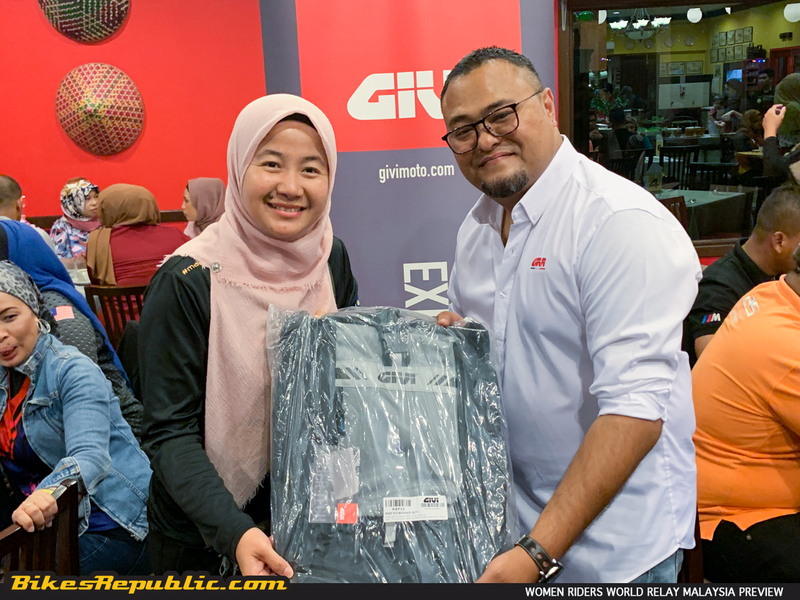 Sam Sharman, the Marketing Manager of GIVI Asia handed over GIVI helmets and backpacks to those present. 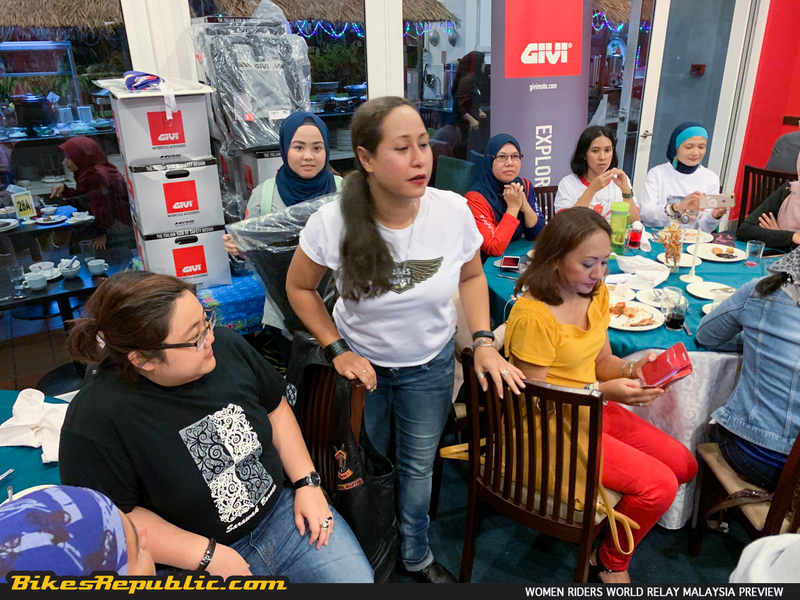 BikesRepublic.com interviewed a number of the ladies including Tina Sharman (as Ambassador of the Ripple Rally), Sue Rahman and Nor Cillia Omar (of Ladies of Harley), plus Anita Yusof (representing GIVI Bella). 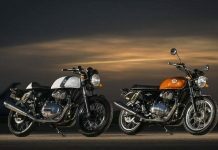 BikesRepublic.com:Can you tell us a little bit more about WRWR? Tina Sharman:WRWR was set up by Hayley Bell in 2018 in the UK. 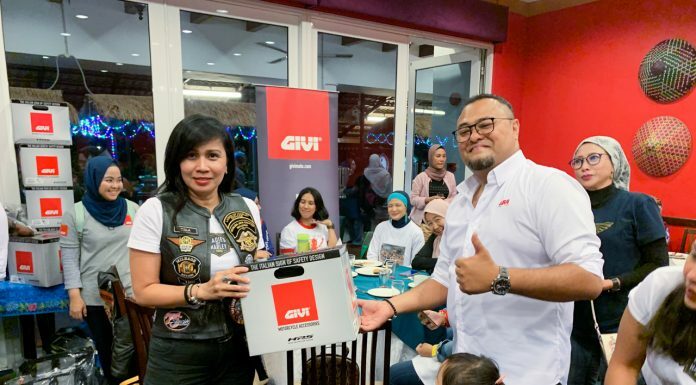 It’s to highlight that there are more and more women bikers in the world. However, there’s still very little in terms of support for women bikers, especially when it comes to riding gear. You go into a shop and you’ll find the gear are all for men. Instead, there are maybe 2 pieces and invariably in pink! 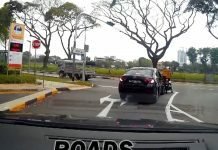 WRWR is a relay but carried out on motorcycles. The batons are GPS trackers, but it isn’t a “linear” relay. Instead it’s a “ripple relay” (like how ripples in water propagate outwards) which covers all corners of the globe. Besides that, the different groups in Malaysia will hand over the Malaysian flag. Sumai is now currently arranging the groups, there are close to 15 of them. As part of ripple relay, they will take their own routes on different dates so that the rides don’t overlap. The Malaysian ride covers both West and East Malaysia. 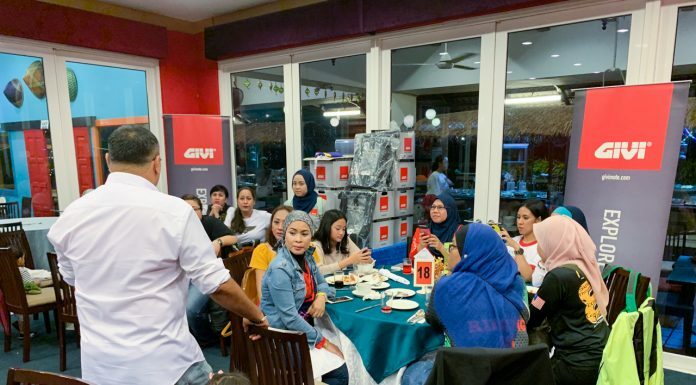 We want this unity among all women bikers. This is the best platform. 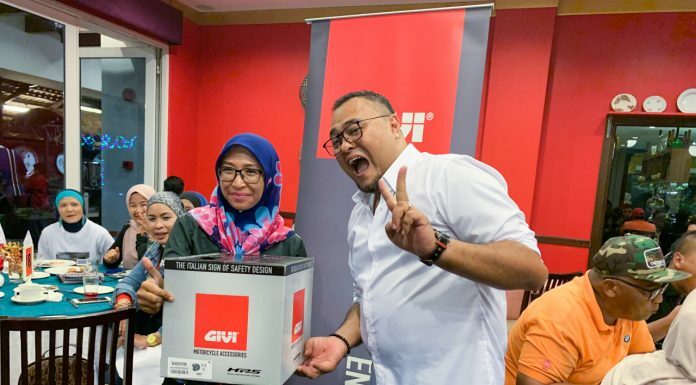 There are many different routes being planned to cover all states in Malaysia. 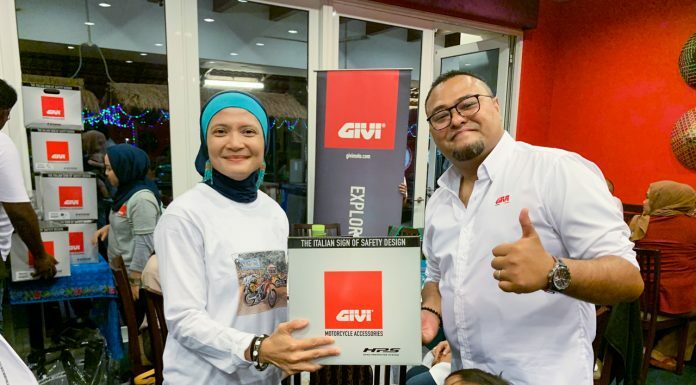 For example, Sumai will lead the off-road group, while Anita leads the GIVI Bellas. 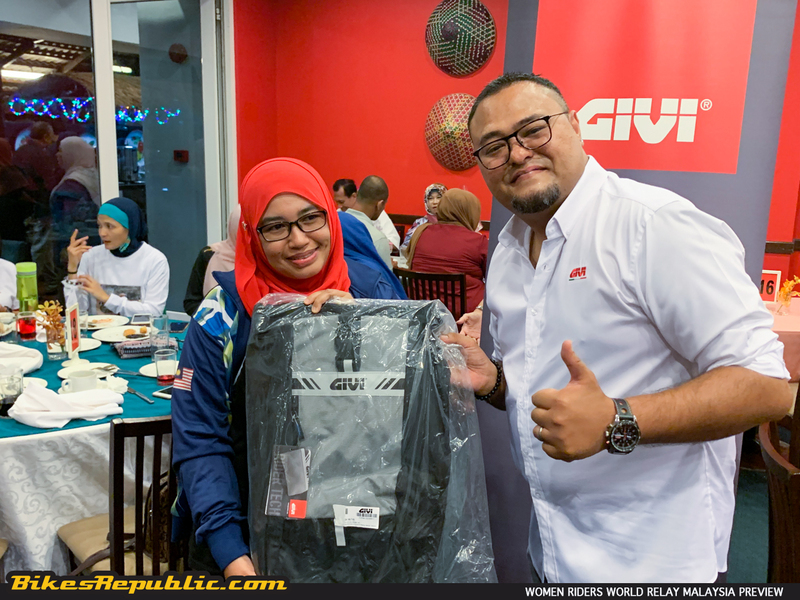 In doing so, we will also highlight the beauty of Malaysia to the overseas riders. BikesRepublic.com:How far will each group ride, at average? 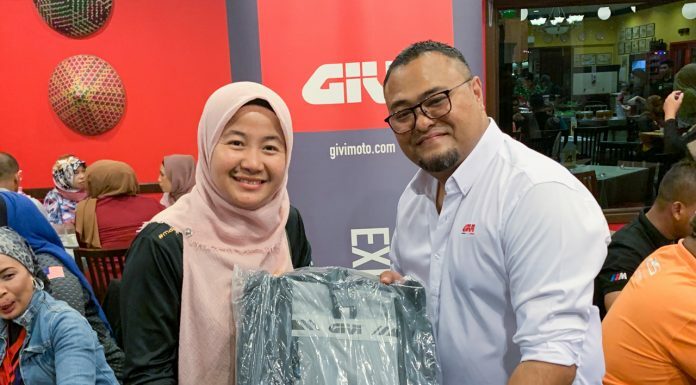 Anita Yusof:We encourage ladies on all types of bikes and engine capacities, including those on kapchais. But they are still willing to ride long distance and camp. Some routes are over Labour Day weekend, so it depends. 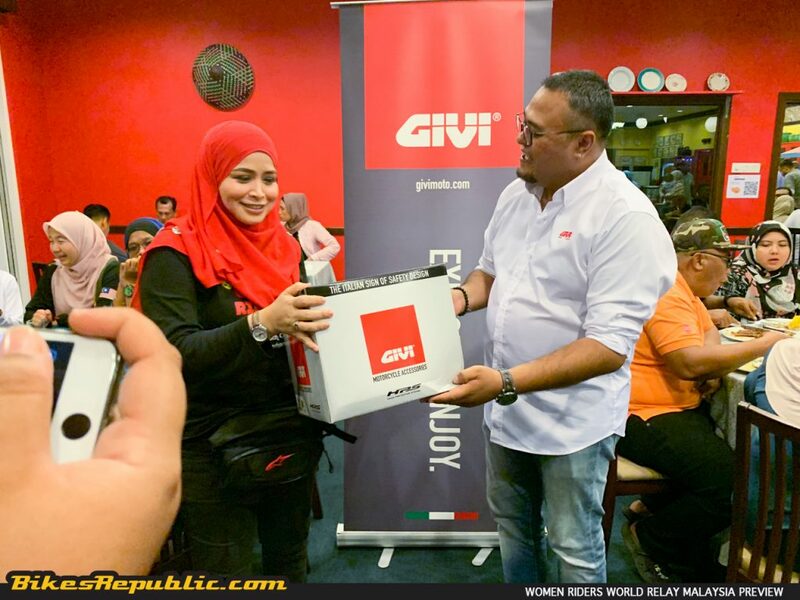 The longest route will start from Ipoh – Kedah – Penang – Perlis – Kelantan – Terengganu – Cameron Highlands (Pahang). 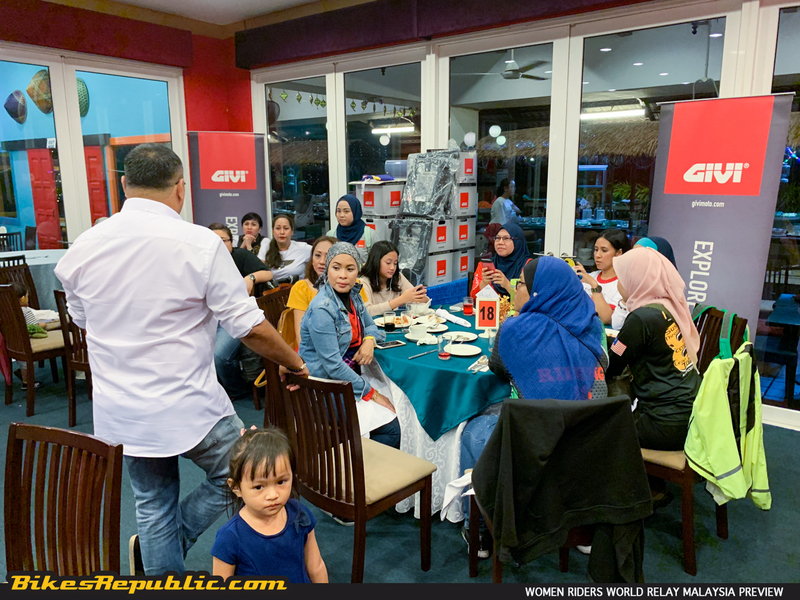 BikesRepublic.com: Is there another underlying theme behind your participation in WRWR besides sisterhood? Tina Sharman: It’s also to show what we can do. The women riding scene really started in 2016, so it shows how far we’ve come within three years. 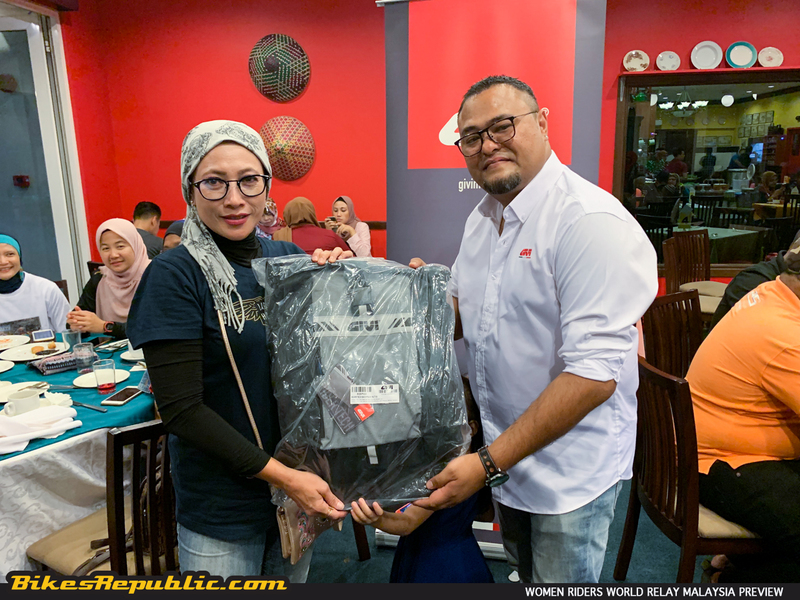 We will also contribute towards charity during the WRWR rides. BikesRepublic.com:As for you Anita, which group will you be heading? 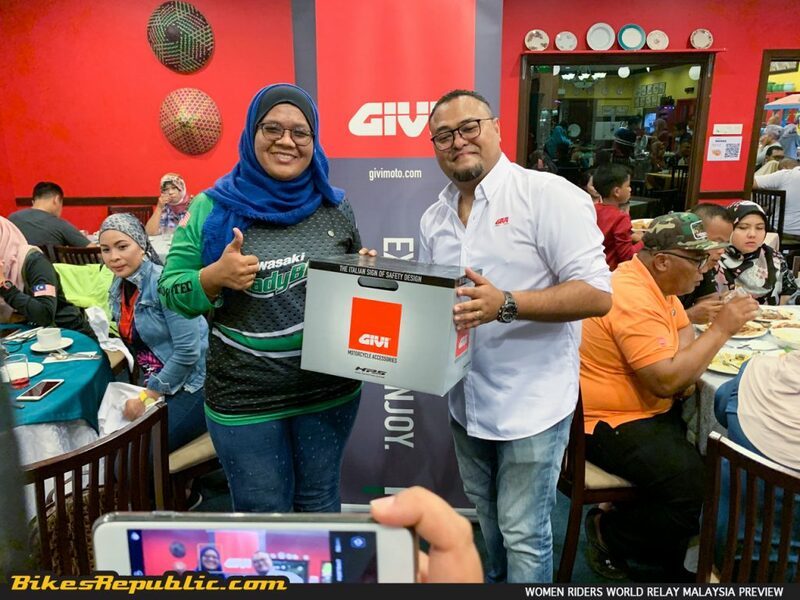 Anita Yusof:I’ll be leading GIVI Bella. 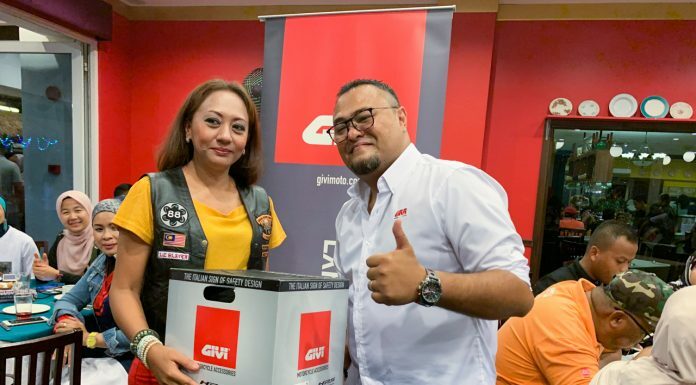 Sam (Sharman) of GIVI Asia had organized ride and camp trips for guys. After my ride in Africa I decided to approach him and propose ride and camp trips for ladies as well. 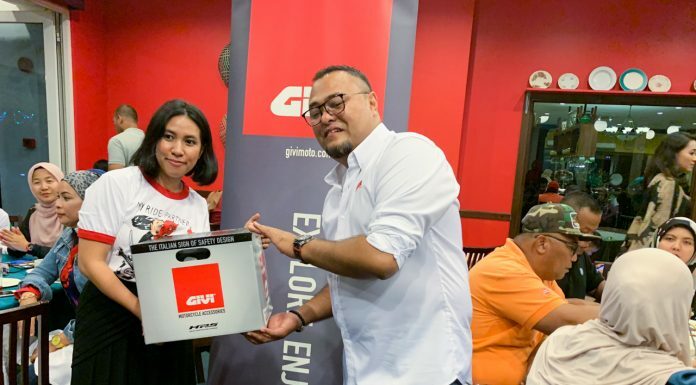 He liked the idea, since we are GIVI Explorer. The theme is Explore, Enjoy. 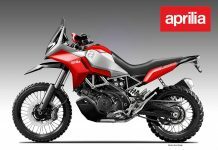 This is the way to promote the lifestyle of exploring and riding. 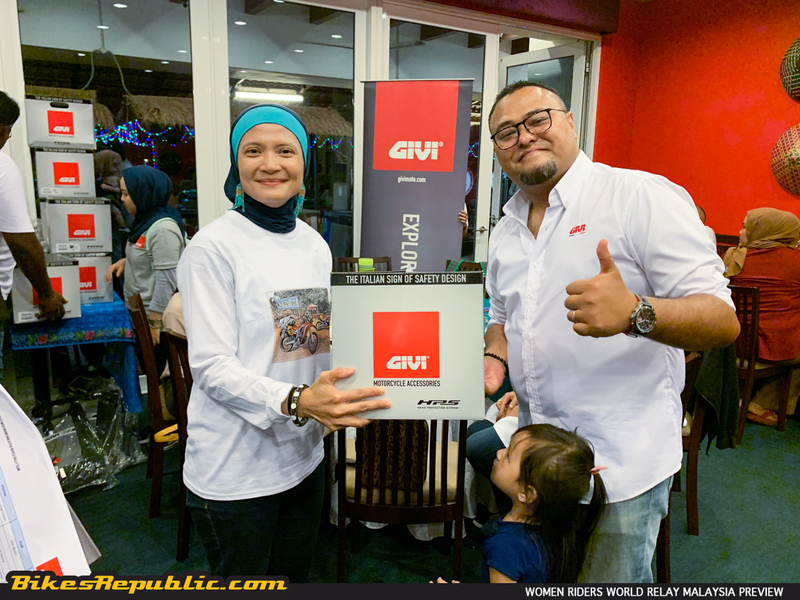 For the WRWR, GIVI Bella will ride to Pangkor Island to camp. 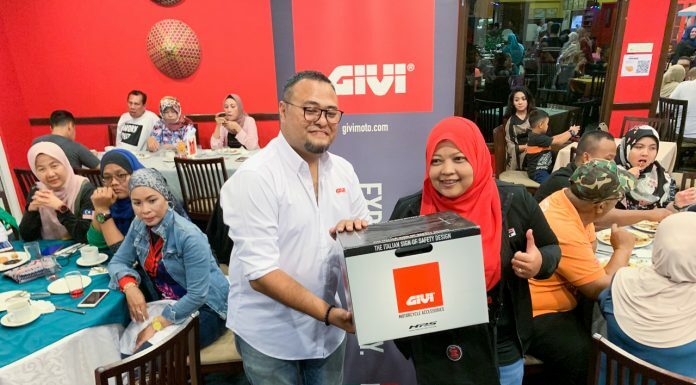 GIVI Bella covers all ladies on all motorcycles. 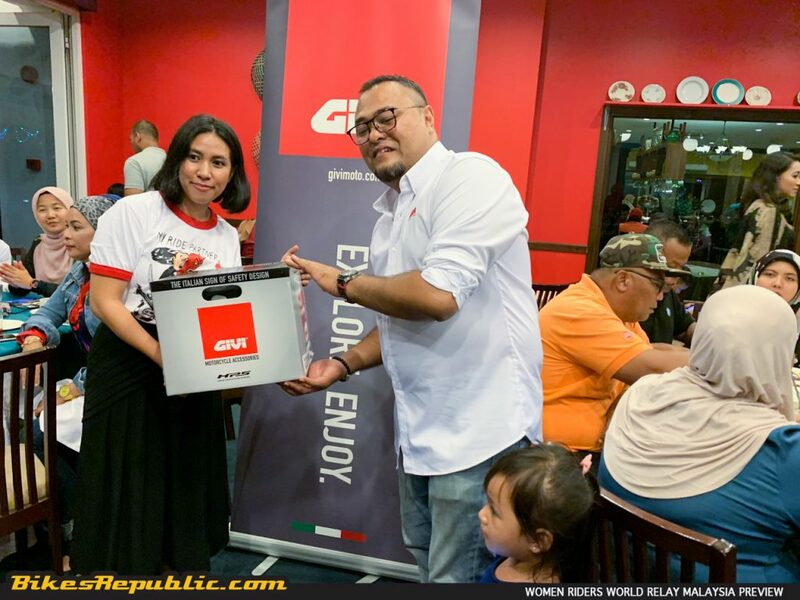 BikesRepublic.com: Chilla (Nor Chilla Omar), can you tell us more about Ladies of Harley’s role in WRWR? 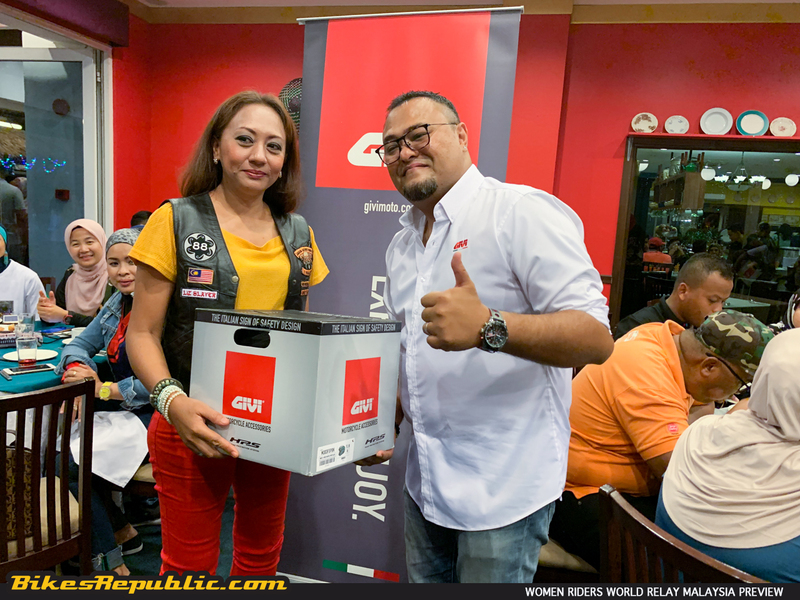 Nor Chilla Omar: We (Ladies of Harley) will be the first to start the ride and we are very excited. 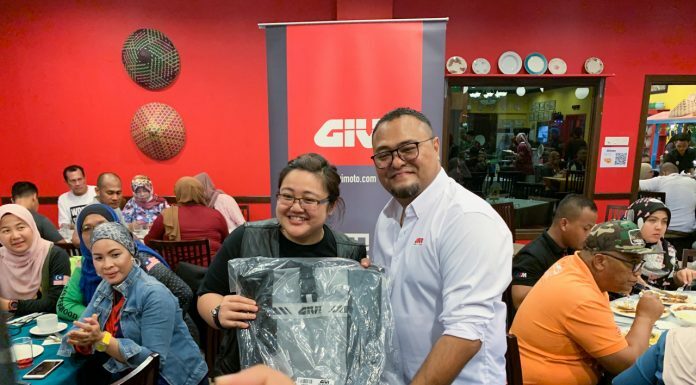 We are trying to gather as many women bikers as we can, regardless of what bike they ride. 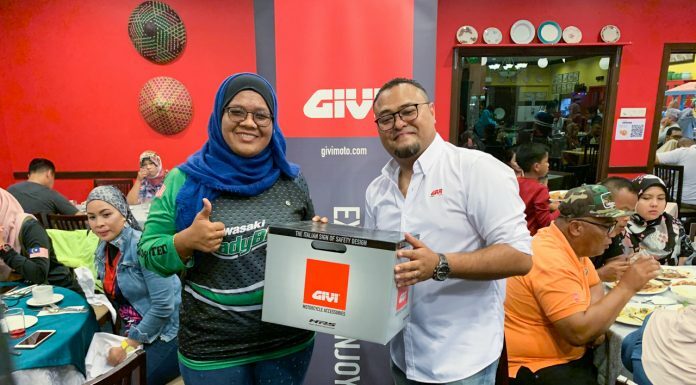 We would like this sisterhood to grow and that more ladies will start riding. 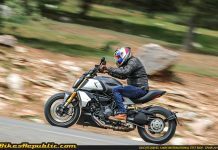 We plan to start the ride from Harley-Davidson of Petaling Jaya (HDPJ) on 27th April. 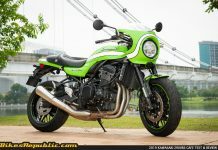 We will then ride to landmarks around Kuala Lumpur. 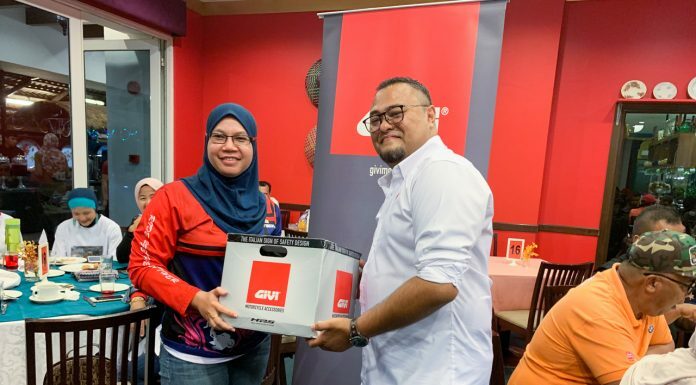 We are planning to ride to the Sepang International Circuit, for the ladies to ride on the circuit itself. 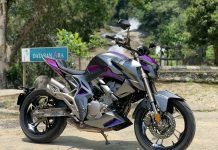 From there, we are going to ride along the trunk roads to Pantai Klebang and into Melaka. 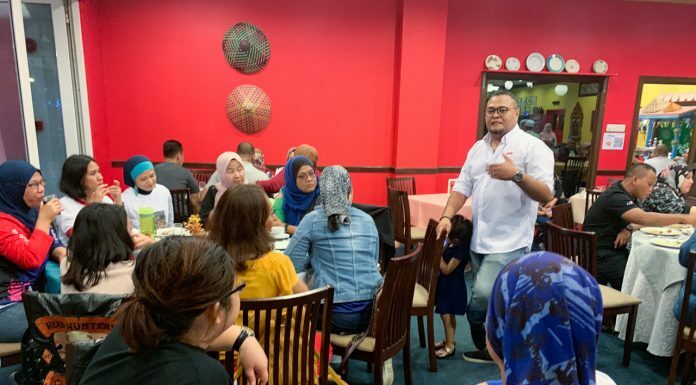 It’s a great opportunity to show may we have in Malaysia including the gastronomical delights! 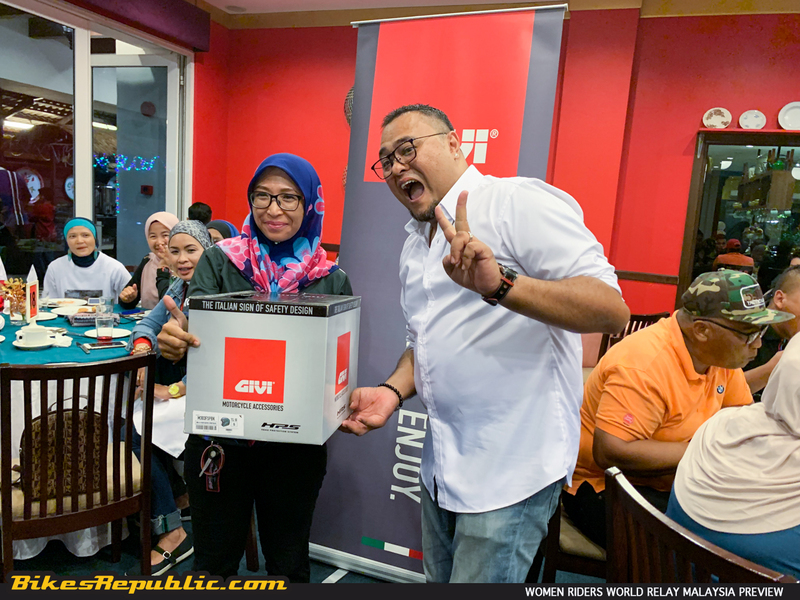 We hope to draw the attention of the world to Kuala Lumpur, Melaka and Malaysia. 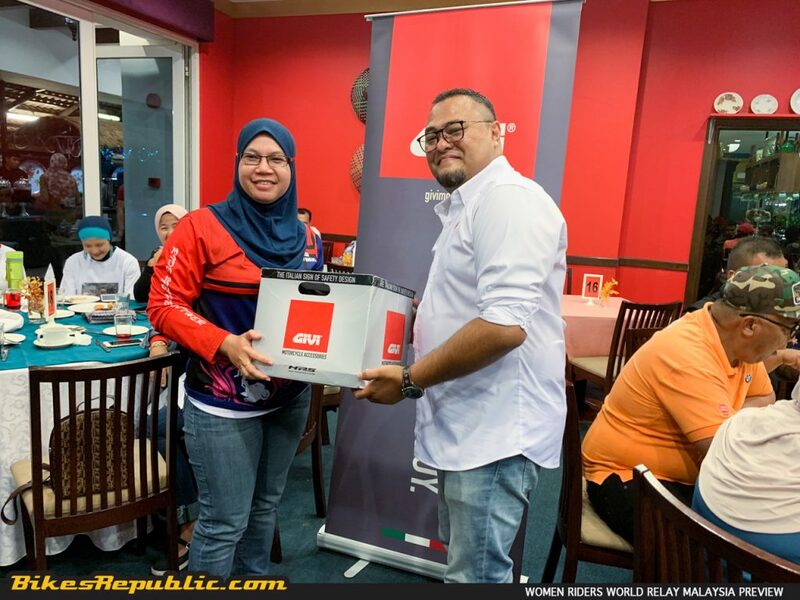 So, ladies please block your calendars for the Women Riders World Relay! It’s going to be blast!